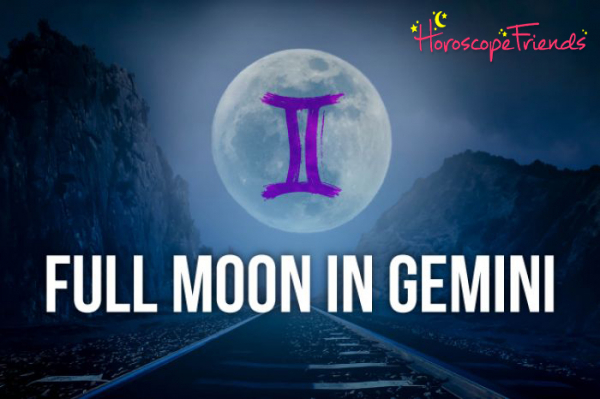 On 23 November 2018 a Full Moon in Gemini, is the perfect time for some light-hearted fun and frivolity for all zodiac signs! This is a super-flirtatious Full Moon, so keep your eyes on the alert and your radar on at full tilt. They say that variety is the spice of life... Well, get ready for lot's of it! Unlike last month’s Taurus Full Moon, which was slow, sensual and rich, this is a super-fast-paced Gemini Full Moon, buzzing with stimulating meetings and conversations. Last month was about being sensible and making a tangible commitment. This month it's all about opening yourself up to ideas and exploring your options! Gemini is like a butterfly, happily flitting from flower to flower, chatting a little here, flirting a little there, receiving and transmitting with abandon and not stopping anywhere for very long. Like the butterfly, immerse yourself fully in the present moment. This full moon in Gemini is all about vivid, abundant and direct communication. Jim Carrey, with his renowned talent for funny faces, silly voices and crazy moves has natal moon in playful Gemini. So bring out your best chat and get keep it fun, light and frothy! What does the November 2018 Full Moon in Gemini mean for you? This Full Moon might also make everyone rather tetchy too, overloading the nervous system. So, make sure to remain grounded! Get ready for emotions to well up into your head - for that's where Gemini lives - and pour out in an avalanche of words. Gemini prefers to talk about their feelings than feel them directly. Sigmund Freud, the inventor of the talking cure, also has natal Moon in Gemini. To avoid mental overload, take little moments to quieten your mind and observe the influx of data without getting too caught up in it all. If you find yourself on a bit of a downer, remember: your mind is playing tricks on you! Dive into a good book, listen to music or go to the movies… Meditate if you have to. Anything to get your mind out of its vice. Once calmer, you can remove your head from the sand and take a more objective look at the situation. On the plus side, this crazy Full Moon has the power to bring your long-term vision into view, showing you little, actionable steps you can take right now to get closer to it. Yes, your focus may be a little blurry, but a little magic is perfect for mind-mapping, lateral thinking and creative inspiration. Your mind is on a fast track right now so why not come up with a cunning plan to make your dreams a reality? Full moons are times of realisation and catharsis. With Gemini, it could be a happenstance comment or unexpected news that has light bulbs going on in your head. Someone simply hits the ‘on’ switch and, hey presto, it’s all clear as day! Catharsis in Gemini comes through words. What are you thinking? Reach out and get it off your chest! Speak up! Or grab a piece of paper and let it all out! You’ll feel better for it. This full moon in Gemini may bring on a reality check, urging you to take stock of how far you have come and how far there is still to go.… But seeing reality clearly won't be easy as the landscape is constantly shapeshifting. You may be trying to decide between two jobs or two lovers, different paths, purchases, projects or travel options. And you may feel as if you have a little angel and a little devil - each on one shoulder - giving you mixed messages! How do you make a choice? Can I do this another way? How many different ways can I come up with? What is the most logical solution? What are my alternatives? What are my options? Is there anything I need to learn more about, or information I need to gather? Is there something I need to pass on or speak up about? Am I too inflexible in some area of my life? Am I taking things too seriously? Do I need to lighten up? Am I afraid to commit? Do I need to make a decision about something? Give thanks for the diversity of things and people in your life. Go on a city break or have a day/night out on the town - Gemini thrives in the buzz of the city centre. Go on a fact-finding mission. Meet people, chat someone up! Pull faces, speak, write and express yourself. Get silly! Regain your innocence and sense of wonder. See everything through the eyes of a new-born babe. Read, listen, speak in tongues, learn something new, solve puzzles. Go window-shopping and make a list for Santa. Get together with friends and family and have a fun day decorating the tree and playing games like charades or pictionary. Dance - preferably in a duet! Play with these fun exercises: try writing with your other hand – the one you normally do not use - and see what your subconscious has to say. Or try drawing mirror images with both hands at the same time to engage both sides of your brain. Curious to find out what’s in store for you during this edgy full moon in Gemini? A little madness must run amok in every horoscope so what’s this present trickery all about? It’s this Full moon in the sign that likes everything in two’s, Gemini. Let’s look at what this could possibly mean for your star sign. Is a message from the stars trying to reach you and getting your answering machine instead? You'll know (and it will!) if you dial 0207 111 6304 form the UK or 1877 608 3731 form the USA and speak to a clued up psychic! Your whole world comes alive, dear Aries! Words are flying everywhere, dear Aries, and half of them are not even words that you meant to say! You're not one to think much before you speak and, hurtful as that might often be, that kind of honesty is hard to find. All sorts of unconscious hurts are finding their way up, rolling through your tongue and out into the open air before you've even realised what it is you're saying. A flurry of meetings, news and communications urges you to rethink your overall stance. Your horoscope tells of a very exciting few days, full of movement and stimulating conversations! Get out for some fresh air, go for a nature walk, meditate or prey. Feeling better? Give your partner the lead if you're in a brainstorming session about your future. It's difficult to decide what's most important for you amid all this noise and set clear priorities. Financial obligations that you have toward people and institutions are forcing your hand. But maybe those are due for a serious rethink. This is a big ‘aha’ moment for you, dear Gemini! Events right now have a huge impact on your thoughts and desires, recalibrating your whole approach to life. Is it all going belly up in your relationship? Or maybe it’s you who’s got yourself all tangled up and need the expert hand of your wise partner to set you to rights again? You may be miscalculating about where a relationship is going or confused about how to combine your career and love life. If all else fails just jump into bed. That will soon clear your head! Something that's of great personal importance has been gathering speed and you realise that you have given it all you have to give. It's now down to others to also start pulling their weight. Your head is literally spinning with ideas and you're full of nervous energy. A big professional dream is at stake here and you're way off knowing whether it's for real or just a big pie in the sky. Whether you hide your spirituality in the closet or parade it out there for all to see, this full moon brings a spiritual cleansing of sorts, dear Cancer. You are trying to get to the next level with your work and things you hear on the grapevine may pique your interest. But it’s all a bit of smoke and mirrors at the moment. Stay in and let the dust settle before you let your intuition guide you. Take time away from your busy schedule to rest, daydream, talk about that strange dream you just had, meditate or indulge your creative imagination. It's a good time to keep a diary too. What you need now is peace and quiet, to hit "mute" on the world. You may be especially sensitive to loud noises. Lot’s is going on behind the scenes, dear Cancer. Are you in the dark about something? You shall soon know more about it! Or maybe it’s you who’s sitting on a big secret, having hidden meetings and clandestine transactions? In that case, your horoscope suggests you lay low until all the pieces of the puzzle fall into place. It won’t take long. You're the apple of everyone's eye, dear Leo. Invitations are pouring in and you might have trouble deciding between a few events to choose from - that's how popular you are! Well, no surprise there, really. But still, this is a very good time to socialise, network and put your stamp on the world around you. This is your chance to bond with friends, celebrate your social circle and close the door on the past. If you’ve been feeling a little lonely lately, you’ll be reminded you’re part of a vibrant community of people, who stimulate and cherish you! There’s a serious tone to all the fun this year and a friendly get together may see some awkward conversations fly around the dinner table, e.g. about your love life. A friend’s words may seem a little cruel, or you may inadvertently let something slip in all the excitement. Just breeze past it. They've put you right on the spot, dear Virgo! This may be due to a promotion, a glamorous career event or because it's finally time for you to take charge of a situation. Speak up and tell everyone how it is! Others are masters of disguise and your task is anything but easy. But you're ready to set some long overdue ground rules by which to proceed. Your home and family seem to have become the priority in recent months and will require serious thinking. Don’t crack your head trying to marry the incongruables and solve the puzzle of how to fit your career, relationship and family all into one big picture. It won't fit just now. Do some brainstorming if you can - especially about how to boost your physical strength or earning power - but don’t get lost down a rabbit hole of anxiety about your responsibilities or image… Get back to basics. Where are you headed, dear Virgo? This is a moment of truth regarding your life’s direction. They're so many that your head is spinning! Do you want to pursue a career and make a name for yourself? Maybe it’s two parallel careers? Or maybe, what you really want is to marry and have kids? None of these are mutually exclusive. You say the word and your horoscope will provide the stimulus! Cruel words are not your thing, but you may find yourself slipping up as you struggle to get heard and get your truth out. Make a mental note of any messages now but leave your decision for a few days down the line, when you're calmer. Take time to review your. Be kind to yourself and take care of your health. Focus on imbuing your everyday world with magic and giving your mind permission to daydream. Do you work in media, teaching, travel, publishing or advertising? If so, a big project reaches the finish line with loads of fanfare and celebrations! Planning a big holiday? This will far exceed your expectations, bringing you into contact with exciting people and romantic adventures! Your horoscope asks that you open your eyes and look freshly upon the world, dear Libra. It’s yours for the taking! Have you heard of the talking cure, dear Scorpio? It was meant for people like you, although a Scorpio is the last star sign that will allow anyone else to psychoanalyse it! Knowledge is power and you're not about to give any of it away. It's a moment of truth of sorts - or it would be if your heart wasn't so involved causing wishful thinking... Still, you may have no choice but to be the good samaritan and do your duty. Your full moon horoscope brings intense personal realisations and intimate encounters. Is someone on your sexual radar, dear Scorpio? You’re in predator mode and on high alert! This could also be because you’re handling an important financial transaction or addressing issues of trust in a close relationship. Still, this is a good full moon to share how you feel with someone you trust. A heart to heart may be necessary to get things off your chest. Financially, the world is full of possibilities. Which one of these is real? A financial deal is on the cards. Money talks and you're ready to listen! Someone is holding up a great big mirror for you to have a long hard look at yourself, dear Sagittarius. And it's a magic mirror at that! An important relationship is hitting the spotlight and that person's true intentions are finally revealed. Listen to what they have to say. And if it's you who has words to share, say your piece! This full moon is a relationship extravaganza, dear Sagittarius! Never before have so many light bulbs gone off in your head regarding a special someone. Where is this relationship going? Clarity dawns. If there’s nobody special in your life, this horoscope opens up a whole new world of possibility for you! Step through the looking glass. If you're happily married, it's time to stay at home. Your abode is filled with a special kind of magic that rubs off on your special someone too! Have you been burning the candle at both ends, dear Capricorn? Information might come to light about your health. If so, double check the facts to avoid misprints and false alarms! Life's little details have your attention and rightly so. You are pretty grounded as an earth sign but this full moon could see you stressing out big time over work. Do you have a to do list as long as you arm? Emails and phone calls will only make it worse, so believe only half of what you hear... And re-read your stuff before you hit "send". You can whizz through it and bring a work project to a swift and triumphant conclusion. If it's you pulling all the strings and trying to pull the wool over someone's eyes instead, remember: what goes around comes around. Celebrate, dear Capricorn! What a cathartic feeling. But you also need to take care of your health, your horoscope says. A physical catharsis is also possible, helping you clear away unwanted habits. You're speaking the language of love, all right, dear Aquarius! Is your heart all hung up on your new crush only to have your friends poopoo the idea? Someone may rain all over your parade now, halving your happiness quota... You're feeling flirty and romantic and - single or hitched - you're eager to have some fun! Lucky is the person who lies in your path, for you will shower them with loving gifts and attention! Children and young ones have words of wisdom to impart or you can look forward to a weekend filled with laughter and fun. This is also a highly creative full moon. A personal project is finally blooming and your imagination is flowing. Τhe solid advice of an experienced friend may be just what you need, even if it's a little hard to handle. You're hot stuff with VIPs just now and can do much to promote your aims if you can find a way to ground your financial expectations. Love and happiness knock on your door, dear Aquarius. This is the most enjoyable, fun and romantic full moon of the whole of 2018 for you! Your horoscope gives you permission to indulge in pure joy - whether this is with your sweetie, an exciting hobby or a pet project that gives you pleasure. You’re surrounded by young people who look up to you - a truly rewarding moment. Home sweet home, dear Pisces. Well, sweet it may be, but at the moment it's also buzzing with activity! Words are flying and you might also suffer a Freudian slip or say things you might regret, most likely to a parent. Or it may be that some crisis breaks out in your flat and you have to quickly address it all and pay out some money in the process? Don't read too much into it. The key thing to remember is that you need to be the one in charge here. Your word is law... Just don't lay it down too dogmatically, no matter how much you think that your poor long suffering self deserves it. A house party would go down a treat now, as would having that important conversation with a parent or getting that weight off your chest. You'll enjoy a trip down memory lane opening old ornament boxes... Inspiration flows! A family or property matter is also coming to a head and you might have words to share. Your home is a veritable hub of activity, dear Pisces! Your horoscope suggest you could be moving or closing on a new house. May it bring you joy!